How fun is that sweater Kelsey. I have a summery version of that sweater from Zara, in white with cap sleeves. 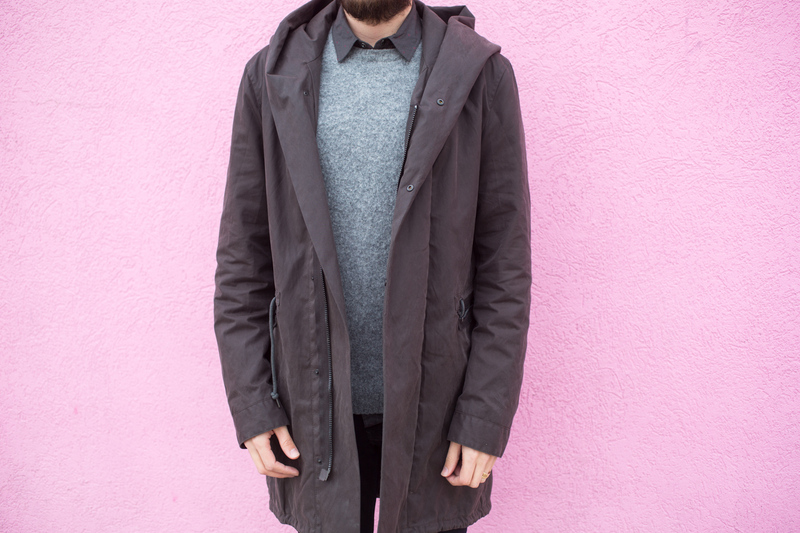 You too look so cool and cozy. Love this sweater!!!! Great post and looks! You guys are such a cute couple! How do you get him to be such a great sport?? Don't think I could ever get my hubs on board 🙁 Thanks for stopping by my blog, btw! Looking forward to following along with you! Loving your fringe sweater! And what a fun photo wall for these looks. 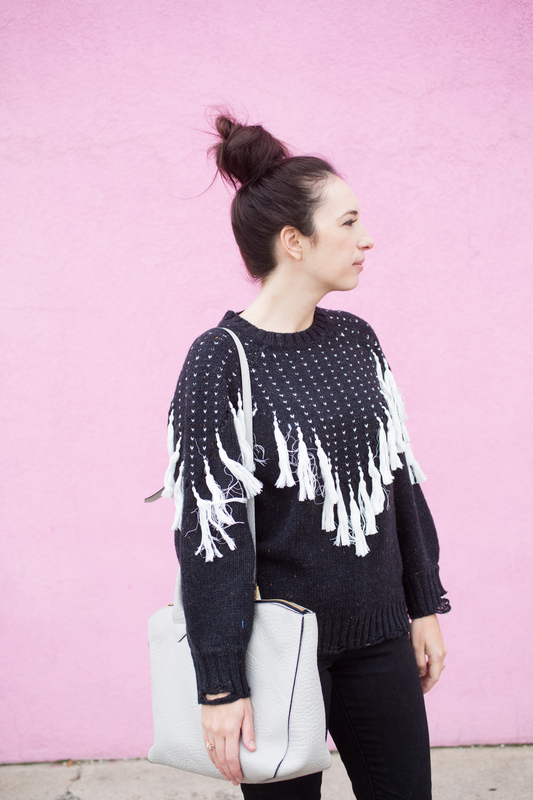 Love your relaxed outfits and those fringe details on your sweater are so fun. Loving that fringe top Kelsey, so lovely! I totally love your fringe sweater! First of all, the jumping in the air shot? Really? I love that you guys have fun with your photo shoots. 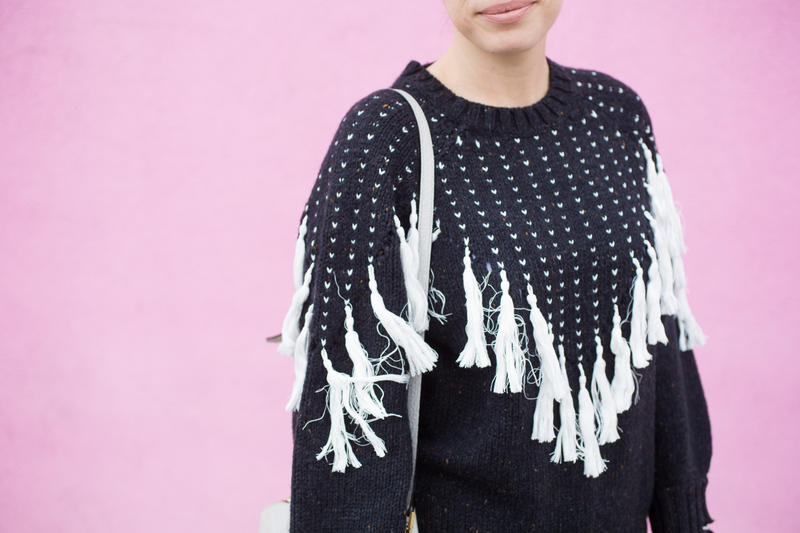 Aside from that, the tassle sweater…. outstanding. Tassle are all the place these days but you made sure to be original as possible. I suppose many will follow your style and take on your taste and I can see why. Cute sweater! Love the fringe detail! 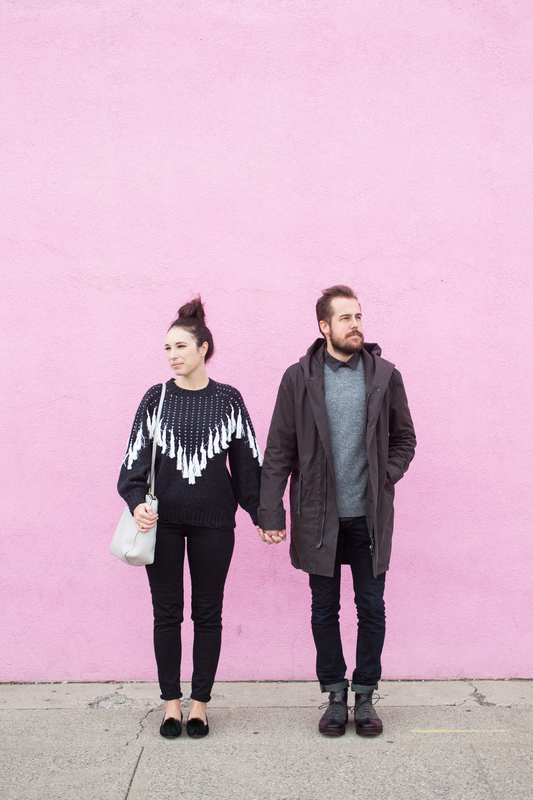 I love the tassels on your sweater and love the pink wall too. This is such a beautiful look from your fringe sweater to the adorable flats with a pom pom accent. Looks so fun for winter! Must be so fun coordinating your outfits together. Aww, swoon! 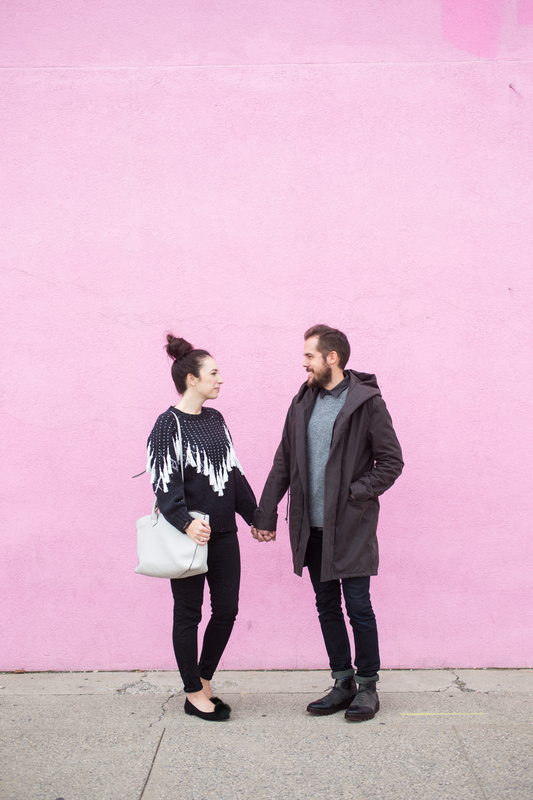 The pink backdrop, and you two! Just too cute! You two are so fun!!!! Love your sweater, Kelsey! And can't wait to see the R2D2 one too! Oh my gosh tassels! I can't get over them! 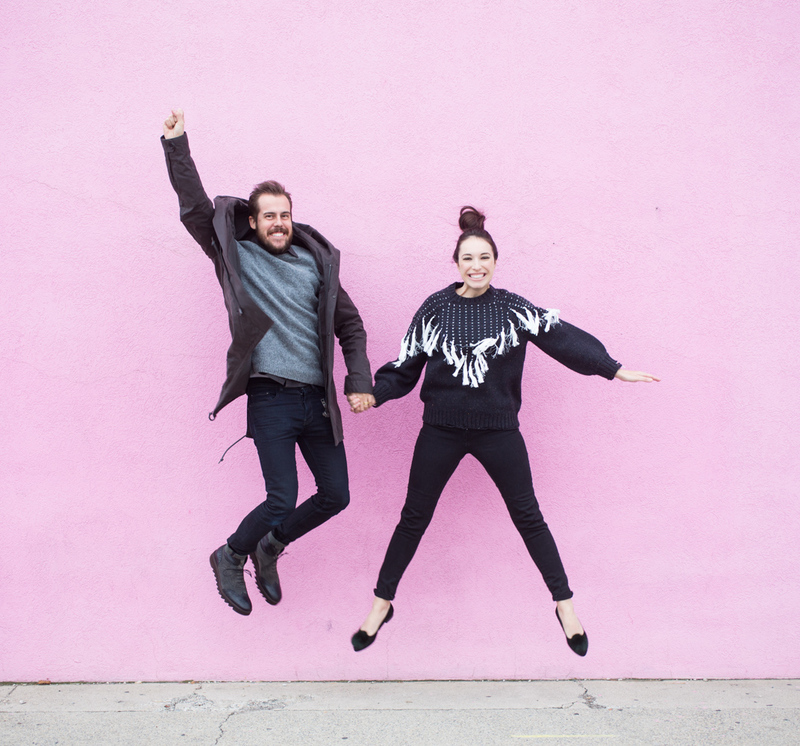 And these shots are too cute — I'm a sucker for a good pink wall! You look so fabulous in this sweater Kelsey! 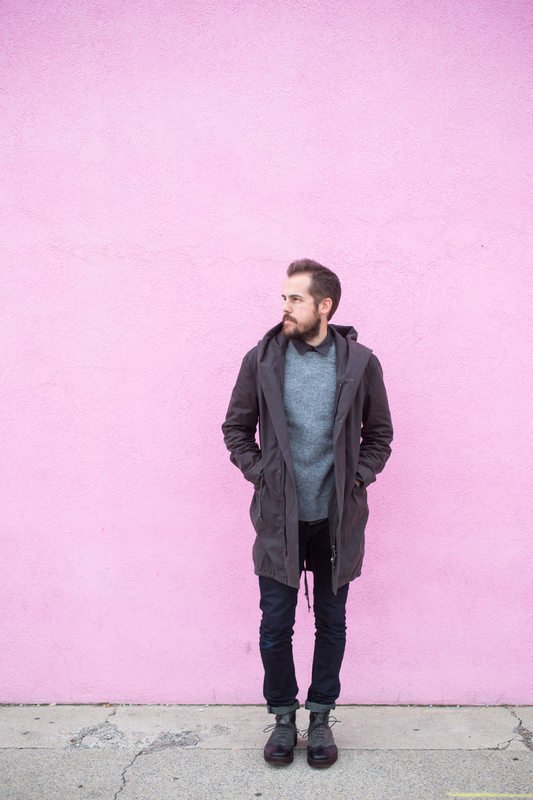 I love how fun fringe can be, the pink backdrop really makes it pop! Your sweater is great, Kelsey! I've never shopped at Revolve, but I'm definitely going to check them out. This sweater is so cute! I love the fringe details!